Marvelouse Guerrier, a freshman, had to wait two months after being hired at the Center for Student Engagement before she could start working. A new system will streamline the hiring process for student employees. Updated: Jan. 30, 2017 at 9:10 a.m. 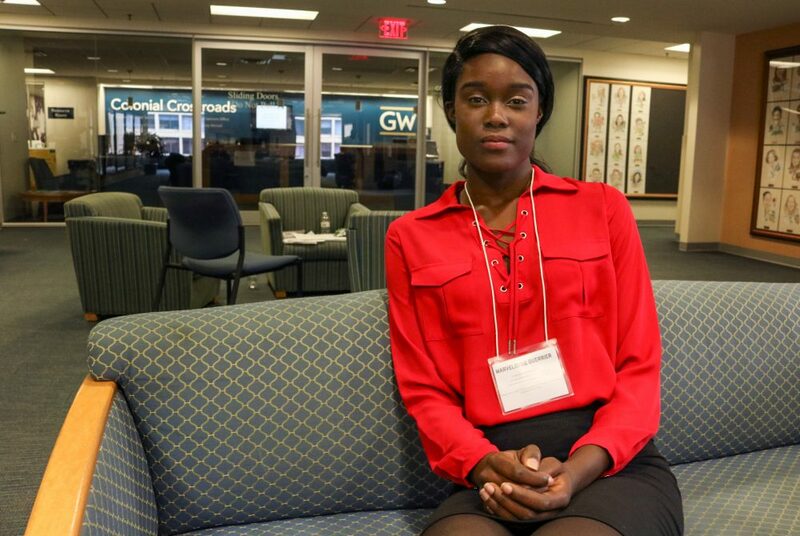 When Marvelouse Guerrier, a freshman, applied for a federal work study position at the Center for Student Engagement in October, she didn’t know she would have to wait two months before starting her job. Guerrier said she spent eight weeks waiting for her background checks and other paperwork to go through without knowing what stage in the process she was in and had to file forms multiple times because of glitches in a third-party system. “I understand sometimes universities and organizations can have problems with the process, but I just wish there could have been an easier process as a student,” she said. But students like Guerrier should not face the same issues anymore: Human resources officials, along with the student employment and career services offices, streamlined the University’s hiring process for student employees to make it easier for both students and the faculty or staff for whom they work. Undergraduate students can now be offered a position while they are waiting for their background checks to be approved. Employers must also complete an online training session about the hiring process to make sure they know compliance topics and supervising skills. Student employment experts said the change will help students start new jobs faster and keep employers updated on the process. Bridget Schwartz, the associate director of student employment, said in an email that before these changes were implemented, the hiring process could take between one day and three weeks to complete. The new process is estimated to take two weeks or less, but officials said timing will depend on the position and what documents the student already has on file. The human resources department will also send out emails during the hiring process to communicate with students and their supervisors about the requirements for and status of their hires, according to the policy. The University may save money and time from the changes because it requires less work from HR and career services staff, but there are no plans to cut positions because of the new guidelines, Schwartz said. Experts said the updated process could be a chance for students to experience what being hired by an outside agency is like. If an institution is making sure compliance and accountability are up to standards for student employees, the experience will be faster and closer to the experience of getting a job after college. Mark Watts, the chair of the scholarship committee at the National Student Employment Association, said the new system might help ease any hard feelings caused by the old process – like frustrations over a lack of communication that Guerrier experienced. “I would hope that students that have had bad experiences would look at this as the University’s good faith effort to standardize processes,” Watts said. Watts said that the time saved by the new processes could be beneficial to both the students looking for work and for the faculty or offices that hire students. “I rely on student employees to help with tasks around my office, so saving a week could be a long time to be without a new student worker,” he said. The second process change requires would-be employers who have never hired a student before to undergo an 18-minute online training about the hiring process. Watts said that this will ensure the process moves smoothly and complies with student employment laws and regulations. Gloria Jenkins, the vice president for administrative services at the National Student Employment Association who conducts trainings on student hiring, said more education for employers about the hiring process is never a bad thing. The Hatchet incorrectly reported that Gloria Jenkins is the assistant director of student employment at the National Student Employment Association. She is the vice president for administrative services. The Hatchet also incorrectly referred to the updated hiring process as a “policy.” It is a process change, not a policy. We regret these errors. This article appeared in the January 30, 2017 issue of the Hatchet.